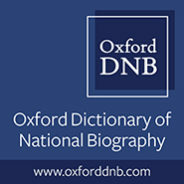 The Oxford Dictionary of National Biography is the national record of men and women who have shaped British history and culture, worldwide, from the Romans to the 21st century. Explore our Listen to a Life biography podcast with over 250 episodes, discover new lives with our Life of the Day email series, and connect via Twitter @odnb. Psychoanalysis, a therapeutic method for treating mental health issues, explores the interaction of the conscious and unconscious elements of the mind. Originating with Sigmund Freud in the late 19th century, the practice has evolved exponentially in terms of both treatment and research applications. Much of Freud’s theory acknowledged that childhood experiences often affect individuals later in life, which was expanded upon by analysts who believed that mental health issues can affect individuals at all stages of their life. Child psychoanalysis has developed into a well-established technique for children and adolescents, with specialised approaches to working with younger individuals. When considering the history of this specialism, a few key figures come to mind. Melanie Klein, Donald Winnicott, and Anna Freud began work with adolescents and infants as young as three years of age. Among a variety of techniques, each of the analysts incorporated elements of play in their therapeutic approaches as a means of understanding adult associations, behavioural and internalised expression, or in order to develop an authentic self. In 1914, Freud took a holiday in England but became an enemy alien when war broke out. After returning to Vienna, she began work as an apprentice elementary school teacher, qualifying six years later and joining the school staff. She remained a teacher—in the widest sense—all her life. Despite being exempt from wartime service, Winnicott interrupted his studies in 1917 and joined the Royal Navy, to serve on a destroyer as a surgeon-probationer. During his downtime on the ship, he tackled the novels of Henry James. Analysis of one family member by another, or even by a close friend, is considered unacceptable in contemporary analysis. Yet in 1918, Sigmund Freud did not set a precedent and he would often analyse his daughter Anna. Klein also analysed her sons, Erich and Hans, as well as her daughter Melitta. Unlike Freud, however, she published their analyses under pseudonyms. No records exist of Freud’s analysis of Anna. In 1936, Winnicott’s work was supervised by Klein, whose influence in the British Psychoanalytical Society was substantial. Winnicott was attracted to many of Klein’s ideas but always processed them in the light of his own clinical experience. Winnicott remained an independent thinker as the ideas he valued, whether Klein’s or not, often underwent alteration. There were disputes between Klein and her followers and the psychoanalytic refugees from Vienna and Berlin, led by Freud, who strongly objected to what they regarded as the “London-centred doctrinal deviance” of the Kleinian group. The two groups disagreed over the depth of interpretation of the unconscious, and the presence, or absence, of transference in children. These disagreements led to a series of Controversial Discussions held between 1941 and 1945, moderated by a “Middle Group” that included Winnicott. The differences were never fully resolved, but the debate ended in a compromise whereby two separate training groups were organized. A split in the society, though threatened, was averted. Featured image credit: Antique Wooden Train by Michael Bergmann. Public domain via Unsplash. Laura Knowles is a Marketing Executive with the Global Online Products team at Oxford University Press.